Let’s get ready to have some fun! 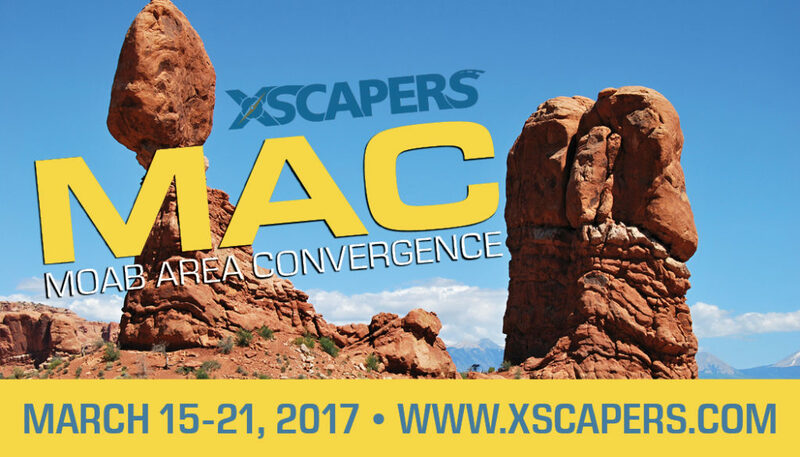 Escapade is returning to the sunny southwest city of Tucson, Arizona. 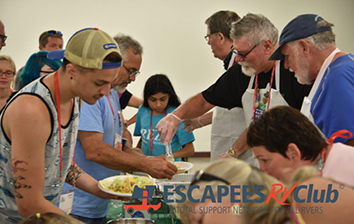 Escapade, our national rally is the largest and most extensive gathering of the Escapees community. 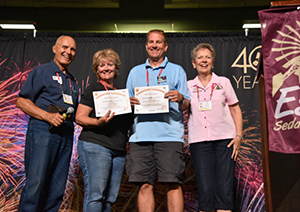 It is a fantastic way to learn more about the RV lifestyle from professionals, as well as from experienced RVers, all while having an amazing time! Escapade packs a wide variety of seminars, social gatherings, nightly entertainment and much more into five, fun-filled days. Love the Escapades! Particularly like Smart Weigh! 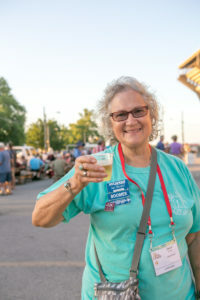 As a single RVer I like to meet as many people as possible...more friends to connect with as I travel. Escapees parks and gatherings are the best place to do that. A special thank you to these 2019 Escapade sponsors! What can you expect from Escapade? Starts around 7:30am with coffee and conversation in the Hospitality area, reviewing the day’s schedule of seminars, socials, and entertainment. 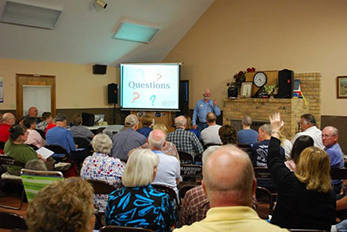 Seminars begin at 8:00am and run through 3:00 or 4:00pm. 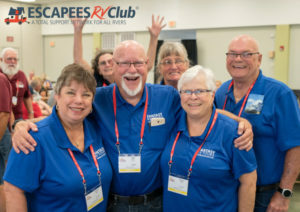 While seminars are happening, the ROW (hall set aside for Chapters, Birds-of-a-Feather groups, and SKP Co-op parks to gather and share their information), the Vendor Marketplace (with a wide variety of products and services for sale and display), and the Club Booth (where you buy Club gear, register for HOPs, get your custom badges, etc) are all up and running, giving you something to do in between seminars. You are welcome to take a lunch break whenever it suits you, heading back to you rig for a hot meal, finding a comfortable spot for a picnic, or checking out the on-site restaurant or food trucks. Following a dinner/happy hour break, evening announcements and door prize giveaways start at 7:00pm. Evening entertainment kicks off at 7:30pm, and often carries until 9 or 10pm. Then it’s back to your rig to tuck in for the night, or join a neighbor (or few) for a drink and chat around the campsite! Everyone eventually finds their way to bed then starts it all over again the next day! Not an early riser? You’re not alone! Coffee is often available in Hospitality all throughout the day, and there are plenty of seminars to fill your available hours. Sound like your kind of fun? Click below to complete the online registration process! Everyone is welcome at Escapade! Looking to get even more out of your Escapade experience? 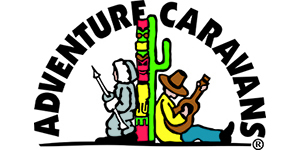 Keep scrolling to find more ways to get involved at Escapade and learn even more about RVing! In 2018, we hosted our first photography contest for Escapade attendees. We were blown away by the talent among our membership! For 2019, we are excited to expand this contest to include both adult and youth categories. Want to share your talent with your fellow attendees? Head over to our contest page to learn more and find out how to enter. 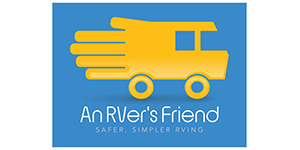 This nationally acclaimed course will be in session March 14-16, preceding Escapade.With an in-depth study of RV safety, operation and information, this intensive RV training course is perfect if you’re new to RVing, still in the planning stages, or needing to gain confidence in your RVing journey. Have your RV weighed and receive a full weight analysis in Tucson. Certified Weighmasters will be on hand to professionally weigh your rig at Escapade and discuss your results with you. Weight safety affects every aspect of the RV experience, from fuel mileage to brake & tire wear, and can potentially pose the greatest hazard to your personal safety.You can sign up for weighing at the SmartWeigh booth. Each year, we work with our sponsors and local talent to book fantastic entertainment suitable for the whole family. We’ll keep you dancing and laughing each evening of Escapade with a variety of events! 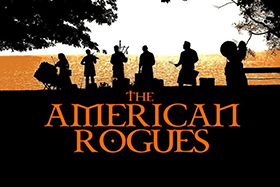 The American Rogues promise to help you “get your Irish on” as they entertain us opening night, St. Patrick’s Day. This American/Canadian Celtic band blends rock, folk and classical elements into rollicking performances across the globe. 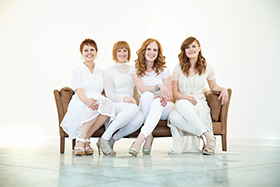 Raised in Alaska, Redhead Express is a four-sister act that left Alaska in 2007 to capture the hearts of America. In the last ten years, they’ve performed over 3000 shows, opening for artists such as Sammy Kershaw, Clay Walker, Jerrod Niemann, Trace Adkins, and many more. Sit back and enjoy as your fellow SKPs take the stage to showcase their talents! You'll see everything from comedic hijinks to stunning vocal and musical performances. Celebrate a successful week of community and education with our Farewell Fiesta! 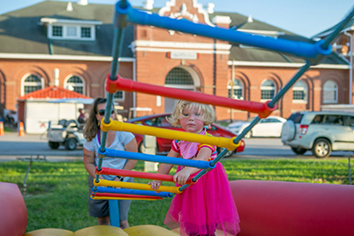 Food trucks, live music, kids’ activities and so much more fill the streets as attendees enjoy a final evening together. 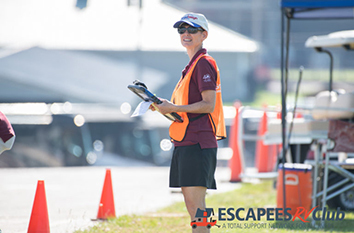 Escapade wouldn’t be possible without the support of our vendors! 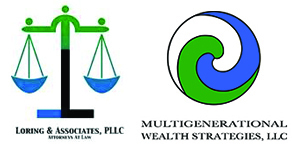 These great businesses sponsor various events of Escapade and often donate door prizes for our daily drawings. Stop by the vendor market to show your appreciation for the support! Who knows- you may find information on your next towing system, pick up a new flag pole, or book your next RV adventure! Interested in being part of our market? 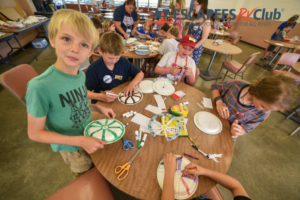 Interested vendors may contact Duane Mathes, Escapade Co-Director, at duane@escapees.com or (907)715-7505 to learn more about vendor opportunities. Want to be a bigger part of Escapade? Take a look at our sponsorship packages! Trying to wrap your head around the excitement that is Escapade? Maybe some of the most commonly asked questions will help! Can I arrive and register on-site? Yes, you may register for Escapade upon arrival at the grounds. You may advise the parking greeters that you are not registered, and they will direct you to Customer Service to complete the registration process. 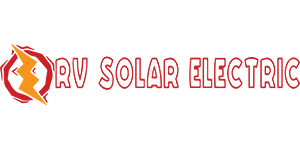 If you require electric or water hook-ups, though, we advise that you register in advance to secure your desired parking options. Once all hook-up sites are reserved, only boondocking will be available to those who register on-site. 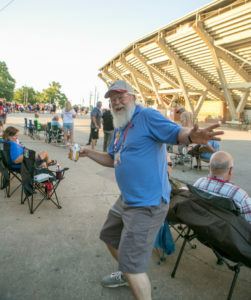 If you are interested in a day pass, an option available for those who are not camping at the fairgrounds, look for Registration or Customer Service to purchase your day pass and receive your event badge. To learn more about this option, including the cost per day, keep reading. Can I add extra days to my stay? Early arrival days are Friday, March 15, and Saturday, March 16. 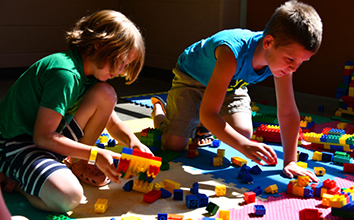 Extended stay days are Friday, March 22, and Saturday, March 23. Are walk-in or day passes available? Yes, we welcome those who want to drop in for a day or so to see what Escapade is all about! Daily walk-ins are welcome to attend all Escapade events each day, 8 AM to 9 PM. Is there a handicap parking area? 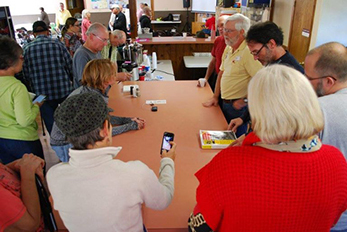 Yes, there is a handicap RV parking section, available to registrants possessing and displaying a valid state-issued handicap permit, on a first-come first-served basis. There is a very limited amount of handicap parking available. Please request this option and provide your handicap permit number to register for handicap parking. What is a "parking permit" or an "E-ticket?" The E-ticket is your entry ticket and proof of registration for admission upon arrival at Escapade. Please print and have it available for presentation to the parking greeters when you first arrive to be parked. The parking permit indicates your selection of hookups for campground parking and has a large letter designating your paid selection (B for boondocking, E for electric, H for handicap, etc.). Please print and place the parking permit prominently in your driver’s side windshield at arrival so the parking team can identify the correct area and direct you to your site quickly. 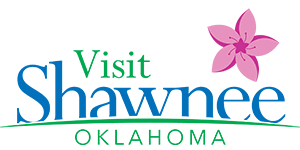 You will receive this information approximately 5 weeks prior to the event, along with driving instructions to make your trip to the fairgrounds easier and less stressful. 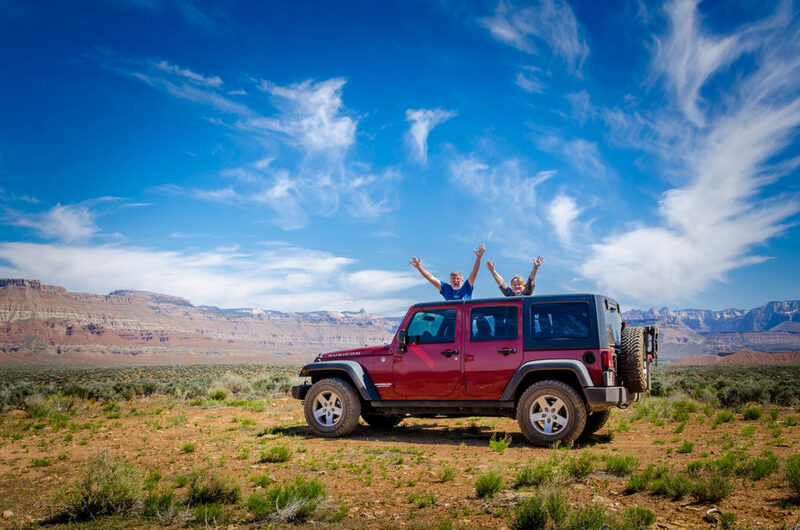 escapadeparking@escapees.com to advise the number of rigs in your group and an approximate time of your group’s arrival. If your camping options (FHU, E/W, Boondocking, etc) are not the same, then your chance of getting parked together will probably not happen at this fairground facility. Our parking team will do their best to get you parked together, but understand this is not a guarantee. Will I have access to on-site showers, laundry, propane, etc? There are showers and restrooms at the facility for attendee use. There are also 2 self-pay laundry facilities for attendees to use. The fairgrounds has a propane filling station. Is there a pump out service or dump station? Yes. An independent mobile pump-out service will be available on site. Please schedule directly with them for a pump-out. The fee will be $25 per pump-out. They will have a booth in Hospitality. It is highly recommended you arrive with empty holding tanks. Yes, the Pima County Fairgrounds has a dump station. Signs will be posted and the location will be noted on the map. Please notify the Parking Crew if you need to dump prior to being parked. It is highly recommended you arrive with empty holding tanks so as not to delay having your rig parked. Did we answer all of your questions? When you are ready to claim your spot and join the fun, click below! Register Early! 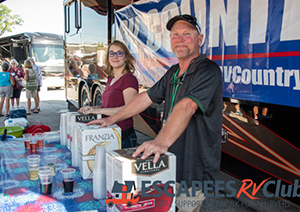 The Pima County Fairgrounds hosts the 59th Escapade; full-hook-up sites (at least 30-amp electric, water, and sewer), as well as 30-amp electric/water sites, will go FAST and availability of each is limited, so make your reservation early to insure your choice of amenities is available. Boondocking sites are almost limitless. Include additional days in your online registration or you may print a registration form if you prefer to register by mail. 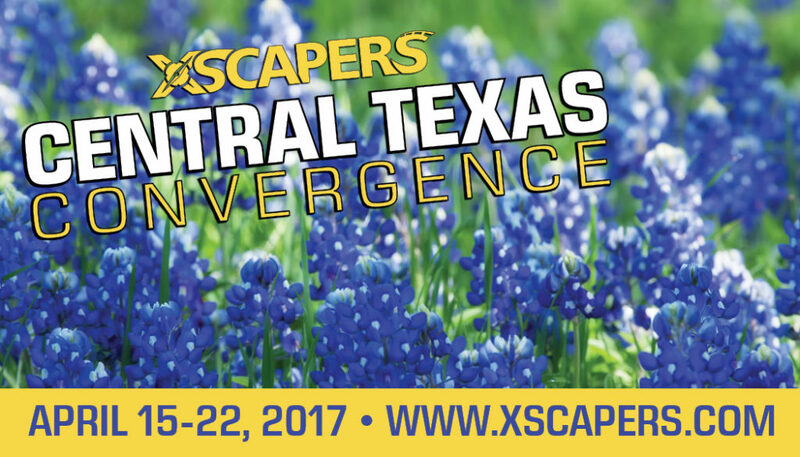 Additional days may also be purchased through the Registration booth when you arrive at Escapade. Walk-ins are welcome to attend all Escapade events each day, 8 AM to 9 PM. Cancellation/change fee ($25) is automatically deducted from all refunds. All refund requests must be in writing and absolutely NO refunds granted after February 11, 2019. For safety reasons, you must remain in the same site throughout your stay. Handicap parking must display state-issued handicap tag and provide number for registration purposes. 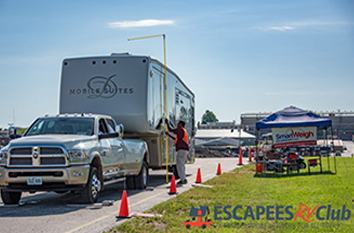 Only those registered as an Vendor may sell products or perform services at Escapade, including any vehicle or RV repairs. If your vehicle needs repairs during Escapade, the repair company/person must register and pay the Exhibitor fee ($320) or you’ll need to have your repairs done off-site. Non-registered vendors are allowed on-site beginning Friday, March 22nd. Escapade information and tickets are sent via e-mail. You will receive a confirmation email upon completed registration. 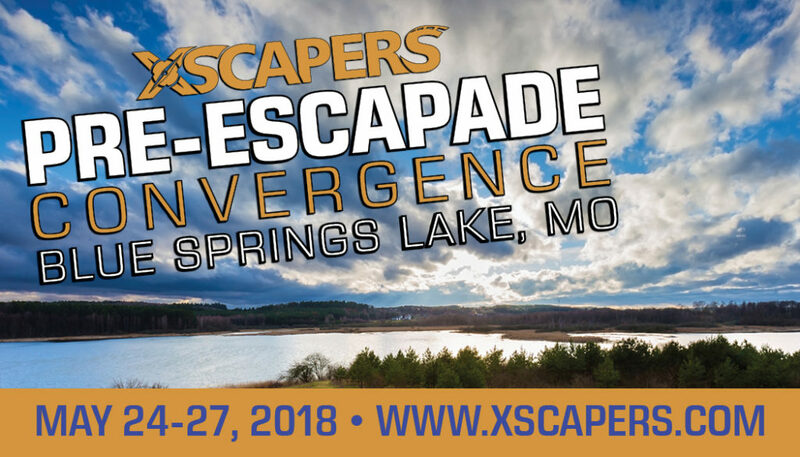 Approximately 30 days prior to the event, your Escapade credentials will be emailed. A welcome letter with arrival instructions, E-ticket (entry ticket) and a parking permit sheet will be included in the email. Please print the E-ticket and parking permit to display in the driver’s side windshield upon arrival at Escapade. You may also view and/or download a PDF of this information here. For your convenience, Escapade registration is available through our online store. You will be asked to specify your arrival and departure dates (including early arrival or late departure), the number of people in your rig, and other information. This information helps us calculate your total cost of registration. If you are attending a HOP, you may also add this to your registration. Please note that if a HOP is fully booked (and you are not already on the registration list), your registration for the affected HOP will be cancelled and your payment refunded. 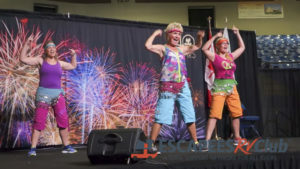 If you’re already registered and looking for more information about how to prepare for Escapade, visit our Attendee Information page to read more about socials, entertainment, seminars, and everything else awaiting you at Escapade! Get ready for the 2020 Escapade! 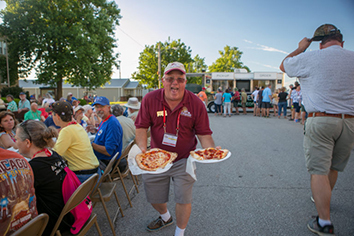 Join us in Rock Springs, Wyoming, June 21-26! 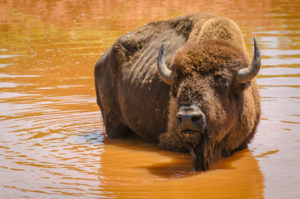 Whether you’re disappointed you had to miss 2019’s event, or you loved it so much you can’t wait for the next one, there will be a spot for you with us in Wyoming! 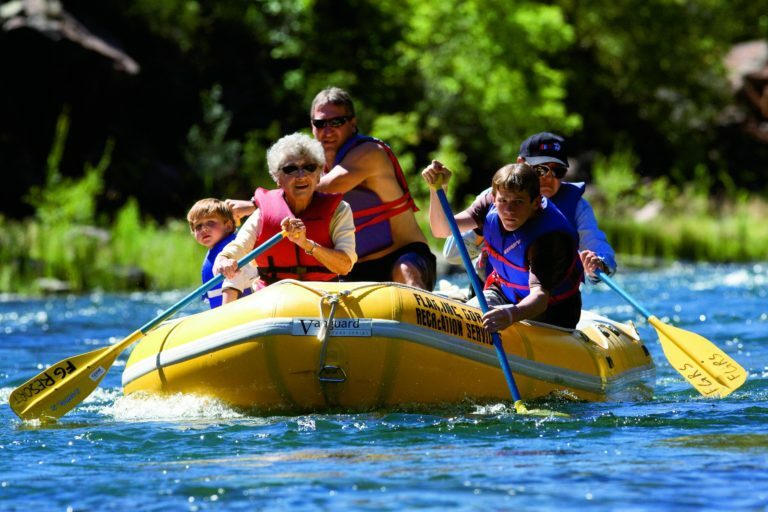 With lots of opportunities for outdoor activities and the area’s rich history, there is plenty to keep you entertained before and after Escapade. Can’t wait to see you there! Registration for 2020 event will open later in 2019. Sign up for Club News to get the latest details.